As industries go, the marine industry is one of the most highly regulated. Changes to a great many laws and regulations are likely to affect SLS members directly. Through ongoing regulatory watch, SLS ensures that our members’ interests, needs and realities are taken into consideration when laws or regulations likely to affect marine industry activities are prepared or reviewed. Shipping is governed by three main regulatory authorities. The IMO is a specialized United Nations agency responsible for regulating international shipping. Its member nations, which include Canada, must apply the IMO conventions they have signed. These conventions govern shipbuilding, vessel operations, navigation, seafarers’ working conditions and training, safety, security and environmental protection. In Canada, shipping falls primarily under federal jurisdiction. Therefore, it is through federal actions that international conventions are integrated into Canadian regulations. Transport Canada and Fisheries and Oceans Canada play a key role in marine industry legislation in Canada. However, other government departments can regulate aspects that affect the sector directly or indirectly (Environment and Climate Change Canada, , Natural Resources Canada, Finance Canada, etc.). Numerous laws and regulations govern various shipping-related aspects such as safety, pilotage, operations, environmental protection, human resources training and qualification, equipment, insurance, etc. The Canada Shipping Act, the main piece of legislation governing commercial navigation activities in Canada, encompasses over 60 regulations covering such diverse aspects as vessel inspection and shipbuilding, marine personnel and pollution prevention. The Canada Marine Act increasingly concerns port, port authority and Seaway management, from a perspective of efficiency and competitiveness. The Coasting Trade Act protects the domestic shipping market, notably by restricting foreign vessels’ access to it. 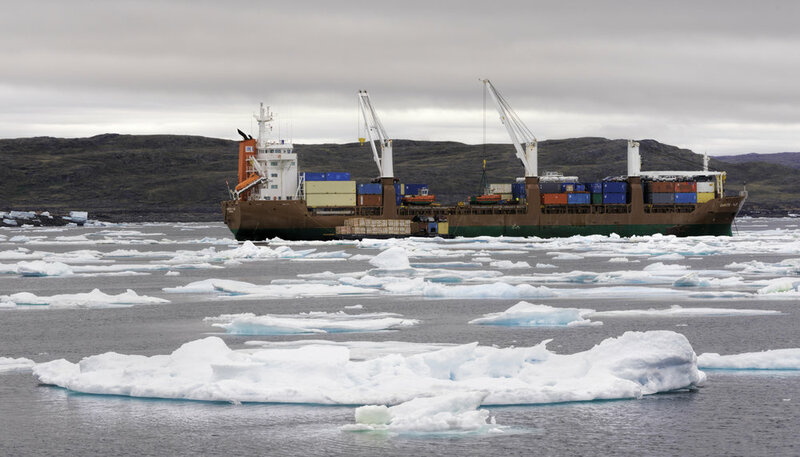 Without special authorization, only Canadian-flagged ships operated by Canadian crews may carry cargo between Canadian ports. This Act is essential for SLS members as it ensures their competitiveness and several thousands of jobs at sea and on land. To learn more about applicable laws and regulations, visit the Maritime Information Bureau (MIB). The Québec government acts primarily as a shipping sector partner and facilitator. Through various regulations, programs and policies, such as the Québec Maritime Strategy, it supports the marine industry’s competitiveness, intermodal transfer, navigating personnel training and shipping-related research, while promoting the marine sector nationally and internationally. Through the Société des traversiers, the Québec government also ensures public passenger transport by ship to improve access to insular regions, decongest numerous roadways and link urban public transit systems. In addition, it manages certain wharfs and port facilities and acts as a conduit between stakeholders on issues related to usage of the St. Lawrence and environmental protection. Regulatory watch involves impact analysis of the texts (laws, regulations, public policies) produced by public authorities and participation on specialized committees headed by the federal government and International Maritime Organization. Transport Canada offers parties interested in shipping the opportunity to attend the meetings of various committees held periodically in Ottawa and different regions of Canada. The Canadian Marine Advisory Council (CMAC) is mandated to inform and consult interested parties on changes in Canadian and international regulations related to maritime operations and services, marine safety and pollution prevention in the marine environment. It also advises the government on issues and opportunities linked to marine safety and publishes reports every year based on its observations. The Regional Marine Advisory Council (RMAC), organized by Transport Canada and the Canadian Coast Guard (CCG), is affiliated with CMAC and mandated to inform and consult industry stakeholders and interested parties on issues and regulations primarily affecting their region, but also Canada as a whole. Internationally, the IMO’s Marine Environment Protection Committee (MEPC), which rallies all member states around issues linked to ship-generated pollution, is mandated to work on developing and implementing environmental protection-related conventions and amendments. Canada contributes actively to this committee’s work and consults the industry, through associations like SLS, and other partners regularly before taking a stand on certain issues.